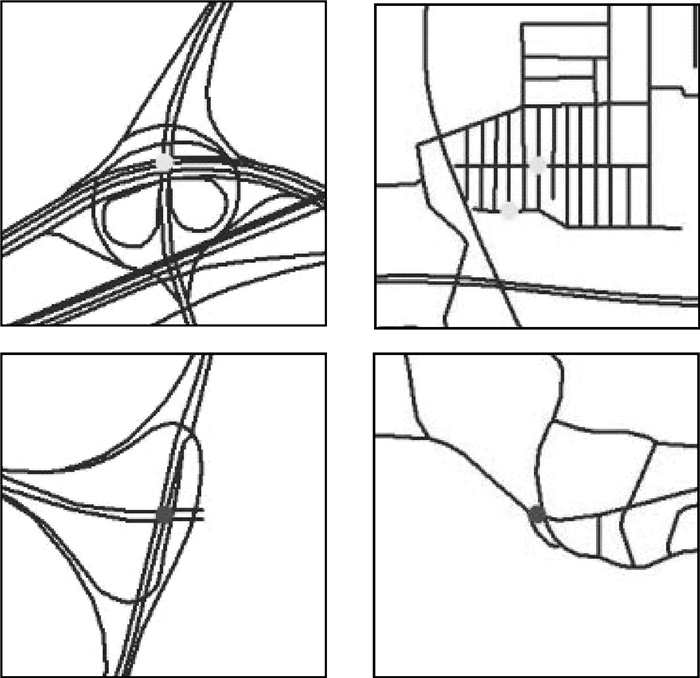 Abstract: The identification and classification of interchange structures in OSM data can provide important information for the construction of multi-scale model, navigation and location services, congestion analysis, etc. 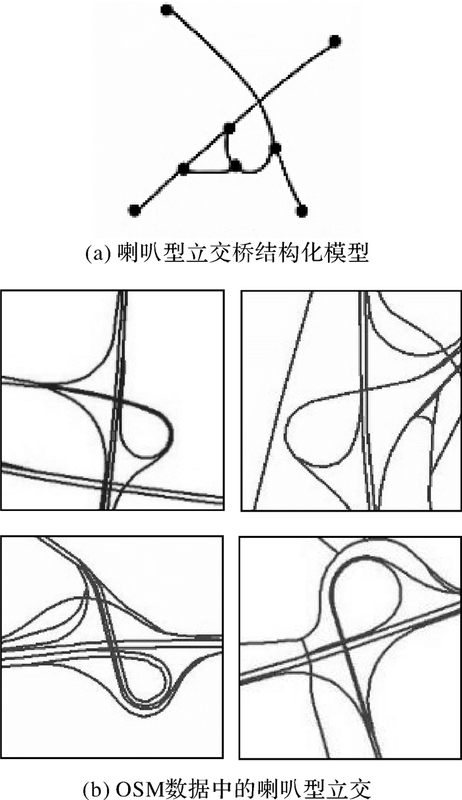 The traditional method of interchange identification relies on the low-level characteristics of artificial design, and cannot distinguish the complex interchange structure with interference section effectively. 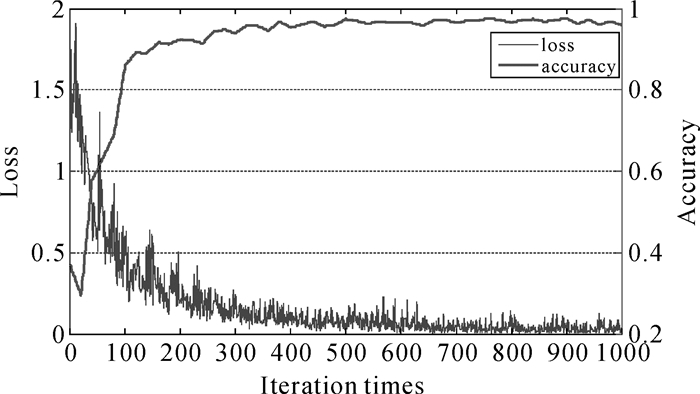 In this paper, a new method based on convolutional neural network for identification of the interchange is proposed. 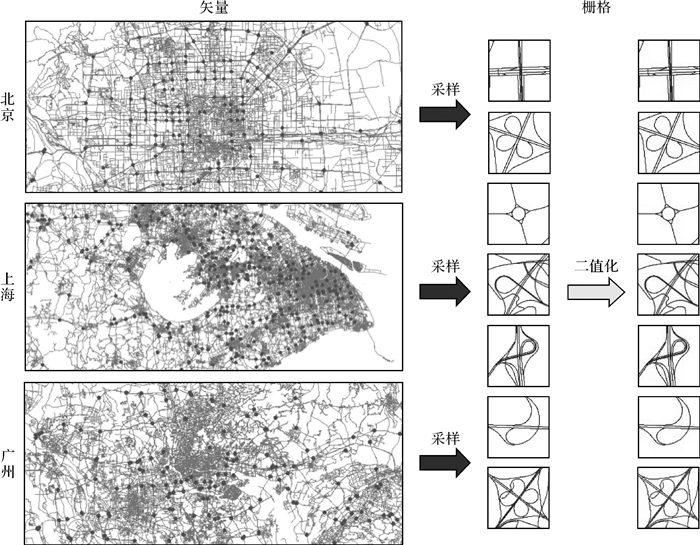 The method combines vector data with raster image, and uses neural network to learn the fuzzy characteristics of the interchange, and classifies the complex interchange structure in OSM. 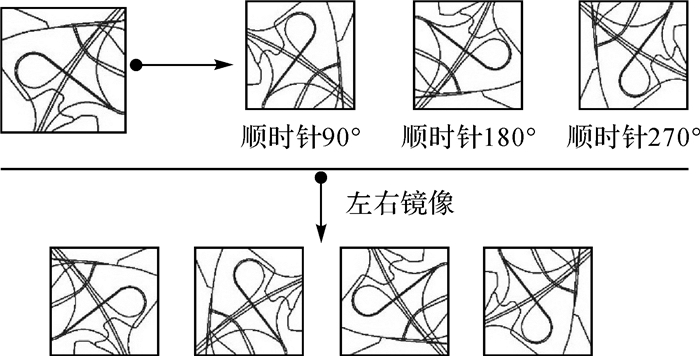 Experiments show that this method has strong anti-interference, and has achieved good results in the classification of complex interchange shape, and there is room for further improvement with the expansion of the case base and the optimization of neural network model. WANG Xiao, QIAN Haizhong, DING Yali, et al. 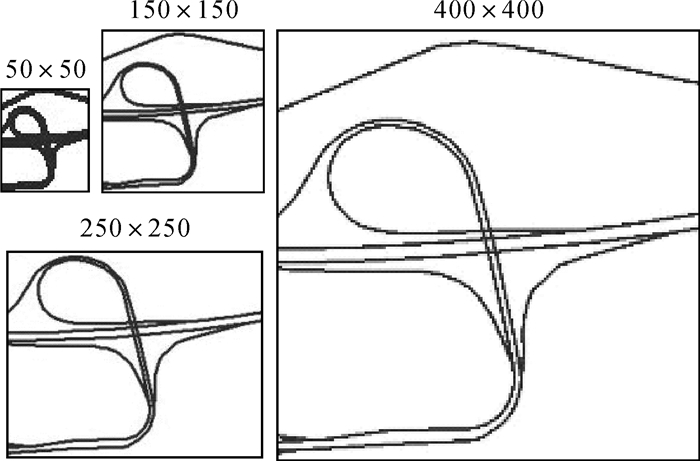 The Integral Identification Method of Cloverleaf Junction Based on Topology and Road Classification[J]. Journal of Geomatics Science and Technology, 2013, 30(3): 324–328. MA Chao, SUN Qun, CHEN Huanxin, et al. 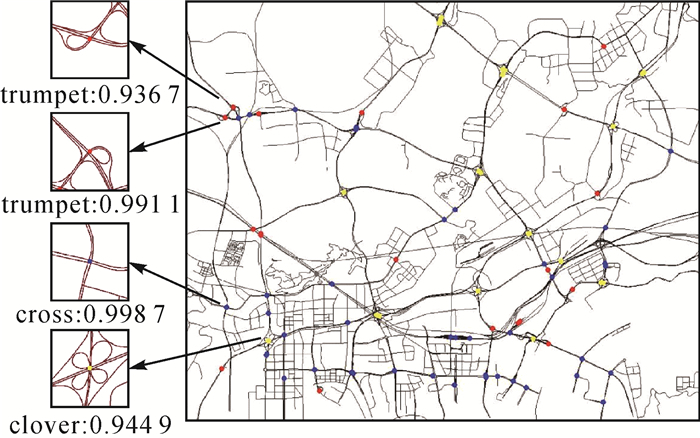 Recognition of Road Junctions Based on Road Classification Method[J]. Geomatics and Information Science of Wuhan University, 2016, 41(9): 1232–1237. DONAHUE J, JIA Yangqing, VINYALS O, et al. DeCAF:A Deep Convolutional Activation Feature for Generic Visual Recognition[J]. Computer Science, 2013, 50(1): 815–830. JIA Yangqing, SHELHAMER E, DONAHUE J, et al. Caffe: Convolutional Architecture for Fast Feature Embedding[C]//Proceedings of the 22nd ACM International Conference on Multimedia. Orlando, Florida: ACM, 2014: 675-678. 何小飞, 邹峥嵘, 陶超, 等. 联合显著性和多层卷积神经网络的高分影像场景分类[J]. 测绘学报, 2016, 45(9): 1073–1080. 刘栋, 李素, 曹志冬. 深度学习及其在图像物体分类与检测中的应用综述[J]. 计算机科学, 2016, 43(12): 13–23. 谢剑斌, 兴军亮, 张立宁, 等. 视觉机器学习20讲[M]. 北京: 清华大学出版社, 2015. XIE Jianbin, XING Junliang, ZHANG Lining, et al. 20 Lectures On Visual Machine Learning[M]. Beijing: Tsinghua University Press, 2015. 周志华. 机器学习[M]. 北京: 清华大学出版社, 2016. ZHOU Zhihua. Machine Learning[M]. Beijing: Tsinghua University Press, 2016. KRIZHEVSKY A, SUTSKEVER I, HINTON G E. Image Net Classification with Deep Convolutional Neural Networks[C]//Proceedings of the 25th International Conference on Neural Information Processing Systems. Lake Tahoe, Nevada: ACM, 2012: 1097-1105. HEINZLE F, ANDERS K H, SESTER M. Pattern Recognition in Road Networks on the Example of Circular Road Detection[C]//RAUBAL M, MILLER H J, FRANK A U, et al. Geographic Information Science. Berlin, Heidelberg: Springer, 2006: 153-167. MACKANESS W A, RUAS A, SARJAKOSKI L T. Generalisation of Geographic Information:Cartographic Modelling and Applications[M]. Amsterdam: Elsevier Science Ltd, 2007: 196-197.